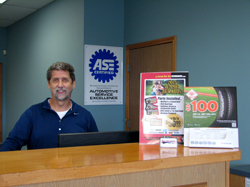 Swanson's Auto Service Offers Auto Repair Services You Can Count On! "Getting your vehicle repaired right the first time, at the price quoted, and by the time promised. 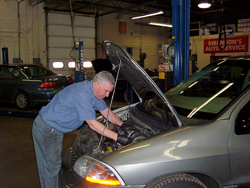 "Whether it's an express Lube-Oil-Filter change, a tune up, a complete engine replacement or anything in between you'll be in the hands of professionals who care about you and your vehicle. Swanson's Auto Service is family owned and operated. Our highly qualified, ASE (Automotive Service Excellence) certified service technicians use today's latest automotive technology & diagnostic tools and can perform a wide variety of complete auto repairs. 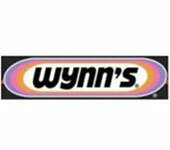 You can learn about our current specials, rebates & coupons as well as other helpful information by clicking on the links at the end of this page. Find out how to earn discounted and free services with our Customer Loyalty Rewards program. You can also request an appointment online or take our Customer Satisfaction Survey. "I usually take my vehicle to the dealer..."
We are definitely the cost-effective alternative to car dealership servicing for all scheduled maintenance of your personal or company car, truck, van or SUV. We can provide you with an oil change and all of the 30/60/90 thousand mile scheduled maintenance repairs without compromising your manufacturer's warranty and without the dealer prices or hassles. A regularly scheduled maintenance program saves you time and money, in addition to maximizing the performance of your vehicle. It will also prevent expensive, timely and inconvenient breakdowns. Looking to purchase a used car, truck, van or SUV? Your best investment before buying your next used vehicle is a comprehensive pre-purchase vehicle inspection. Our certified auto repair technicians will perform an honest, thorough evaluation of the vehicle using our 75-point checklist. Not only could this save you money, it will give you peace of mind and take the worry out of buying a used car, truck, van or SUV. Our services make life convenient for you! Swanson's Auto Service is proud to offer the finest quality service, honest recommendations and guaranteed repairs at affordable prices to your domestic and imported car, truck, van or SUV. Some of our available services are full service towing, local shuttle service, after-hours drop box, and computerized vehicle history available at any time. 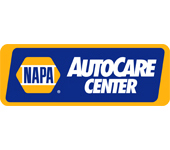 Being an Auto Value Certified Service Center you get the benefits of a reputable national corporation while maintaining the individual service of a family owned business. So drop off your auto, SUV, van or truck and visit our clean, professional shop serving the Grandville and Wyoming area today and allow us to provide you with excellent, personal service. 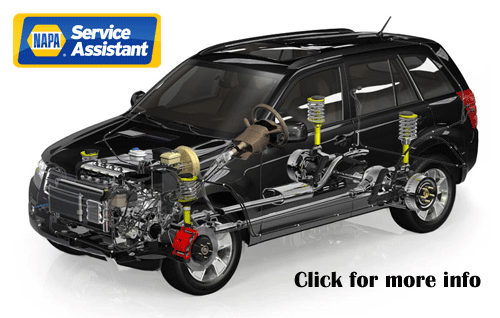 We look forward to servicing you and your vehicle.